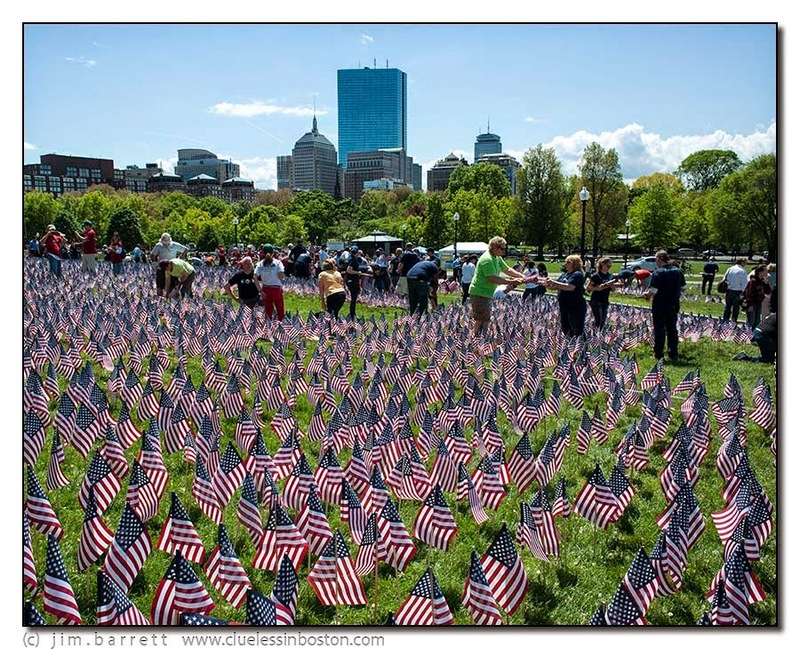 A garden of nearly 33,000 flags is being setup on the Boston Common in observance of Memorial Day. Each flag in the display represents a fallen service member from Massachusetts. That is a lot of fallen soldiers. Fantastic photo, very moving. I think I prefer the colour version to the monochrome. It makes the event feel painfully modern, not just historical.